Carl Johnson: I have been using Microsoft Outlook Email Client Since Year 2008. One month earlier Outlook Data File (PST) had corrupted due to its large size (12 GB). I had got into a big problem. whenever I was running Outlook then it shows message that "Outlook data file has corrupted due to its large file size" cause of which I was unable to access my mails. Then I thought that I have lost all my emails. But I was thinking that there would be some way to access mails from corrupted Outlook PST file. By thinking some motivational quotes in my mind, I started searching on Google about repairing corrupted Outlook 2016/13/10 PST file techniques. I tried some manual techniques too like used scanpst.exe tool to repair Outlook PST file. But nothing worked for me. But still I had hope that I can access my emails from corrupted PST file by repairing it. I again started searching on Google, but this time I was not looking for any technique to repair Outlook PST file. Instead of technique, I was searching for an Outlook PST repair tool for Outlook 2016, 2013, 2010 & 2007. Then I got many tools and tried their demo versions too. But finally I selected EmailDoctor's Outlook PST Repair Tool. The main reason behind selection of this tool was its Support and Simplicity. The support team helped me to repair my corrupted PST file of Outlook 2007. Therefore I could to do this easily cause of its simple User Interface which was exactly similar to my Outlook. Note: Carl Johnson is one our satisfied customers, who recited his challenges to us & we proposed him to use our reliable product MS OUtlook PST repair software. "I work in sales department in my company and i do not belong to any technical background. Therefore I am completely unaware about the file format and storage location of my Outlook emails. I just care about accessing the emails using Outlook. But After purchasing this tool, I am facing another challenge which is adding PST file to this Outlook PST File repair tool. Therefore please tell me that how can I add PST file to this tool?" "have repaired Outlook Data file using Outlook PST Repair Tool and also splitted output PST file into multiple files. But I don't know the process to import PST file into Outlook Email Client. Therefore could you please tell me the process of importing PST file?" Hey just keep calm, I can understand your problem. Just go to the below location to find and add PST file to Outlook PST repair tool. As you have not described that which version of Microsoft Outlook and Windows OS you are using therefore I am writing default storage location for all. C:\Documents and Settings\%username%\My Documents\Outlook Files\ After adding file you can easily proceed to repair Outlook file. Thanks for using our software. There are some simple steps for this, I am sharing a link by which you can learn to import PST file into Outlook. Step 1 Install and Run Outlook PST Repair Tool. After running the tool you will see the interface as shown in below image. Step 2 Browse location for selecting PST file and then Click on Add File button to start the scanning process to repair corrupt PST file. See below image for reference. Step 3 Preview all emails (deleted or lost too) and other items as shown in below image. Step 4 Export Repaired data by clicking on Export button from top or by right clicking on an Email. You can see below image for reference. Step 5 Select the file format in which you want to export and apply filtration and split PST file range if you want. And Click on Browse button and select destination location and then hit Export Button for starting the Export process of repaired PST file data as shown in below image. Step 6 After successful export process completion you will get a message "Export process completed successfully" in a window as shown in below image. Step 7 Now Check PST file at selected destination location. This software provides you the simplest way to repair your corrupted Outlook PST file data. It doesn't matter if you are a technical or non-technical person, you can repair Outlook Database File by just a few mouse button clicks. If you want to use the advanced features of this tool, then click here..
Repair PST file including all items like Emails, Contacts, Calendars etc. Q: I am curious about my every single email therefore just want to ask that in the process to repair Outlook 2013 PST file, is there any chance of losing some emails? I have read & heard many rumors about repairing PST file therefore I am asking this question. A: No, there is not any chance for losing any single email during corrupt Outlook 2013 PST file repair process. Our support team is always available for resolving all software related issues. Q: My PST file has been corrupt cause of its large size which is approx 8 GB. Therefore I just want to ask that does this tool can repair large sized PST file? A: Yes, This tool can repair any size of corrupted Outlook PST file. You can also split the repaired PST file into small PST files to avoid the issue of corruption in future. Q: Hi, I am new Outlook user. Earlier I was using Other email clients for accessing emails. But finally as everybody do, I also switched to Microsoft Outlook 2016. I am using it since last 1 month. But In my house there was some electricity issue for two days. Cause of which I could not access my computer. Earlier when electricity issue had started in my home that time my PC was switched on and I was accessing Outlook. But after getting everything fixed, I tried to access computer which worked very well but when I tried to access my mails then I got error message "can not access Outlook data file". Now I don't know what should I do to fix it. In some website I read that this error message indicates for corruption of Outlook 2010/2013/2016 file. I also tried Inbox repair tool which stop responding during scanning process. Therefore I am looking for a good third party tool to repair Outlook 2016 PST file. I just want to make sure whether this tool can repair PST file of Outlook 2013/16 or not? A: Yes, Outlook 2016 PST repair tool will repair PST file whether it is highly or less corrupted . You need not to think about any issue during repairing Outlook data file 2016. Just purchase this tool and add file to the tool and start repair process and export into a file format which you want. In case of any problem or need help to repair Outlook 2016 database then you can reach our support team. They will help you completely throughout the process. Q: I keep my PST file password protected in my local computer. I have some other PST files too which belongs to my other email account. But today I found that one of my PST file have corrupted. I don't know what was the reason behind this but there are some important mails which I want to view from that PST file. Therefore I was searching for PST file repairing methods on Internet. I got nothing other then the third party tools. So I am thinking to buy any one of them. Before purchasing I used demo version of some tools and found that this tool is more efficient then others. But then ever the last time I just want to confirm that whether this tool completely recover corrupted, encrypted and password protected PST file or not? Because I have heard that some tools works efficiently in demo version but in Pro version it looses some features. A: As you have already used the demo version of this tool, you would have seen the quality and efficiency. And yes, of course Outlook PST repair tool can successfully repair corrupted, encrypted, & password protected PST file. In case of any issue you can contact our support team. Q: I am using Outlook since last 3 months, but today in the morning when I tried to access my attachments from email then I got an error message "email attachments are corrupted". I don't know that what should I do now. I searched about it on Google and found that there is an inbox repair tool which could repair Outlook 2013 Data File. So, I used it too but couldn't access the attachment. So finally I thought to go with a third party tool. Therefore I want to know that whether this tool can repair attachments from corrupt Outlook 2013 PST file or not? A: Yes, Outlook 2013 PST repair tool can repair corrupted email attachments in an efficient way. You need not to think about how to repair Outlook file 2013/16/10/07 after purchasing this software. This task can be achieved in just few mouse button clicks.  Q: Does Outlook PST repair tool also works on Mac OS? A: No, It can be installed only on Windows OS to repair Outlook PST file. Outlook PST repair tool is really very efficient which repaired my corrupted and password protected PST file within some span of time. I used many other tools for repairing my encrypted and damaged PST file but those tools could not repair like EmailDoctor's Outlook PST repair tool. I was searching a tool which can allow me to repair my corrupted PST file and export emails into EML file and my search journey ended at this repair software. I was searching theft property paper which was available in my corrupted PST file. This repair Outlook PST file tool helped me to get my paper back. In case of repairing Outlook 2013 database file, I was completely unaware. But its support team helped me completely till that time I did not get the PST file repaired.